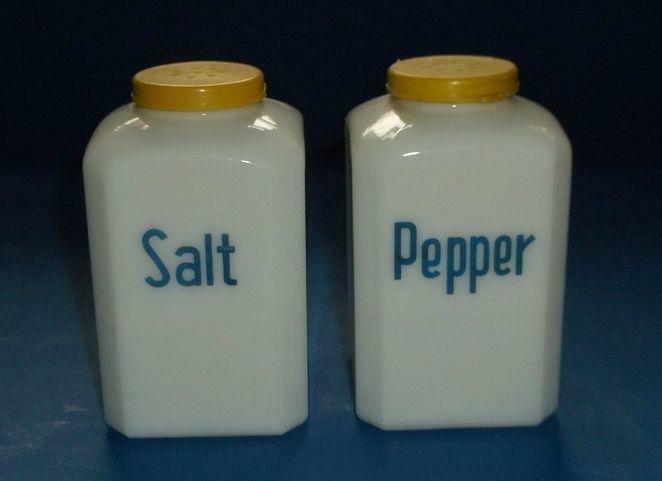 Pair "Blue Magic" of range shakers made by Luce MFG Co of Groton, VT. 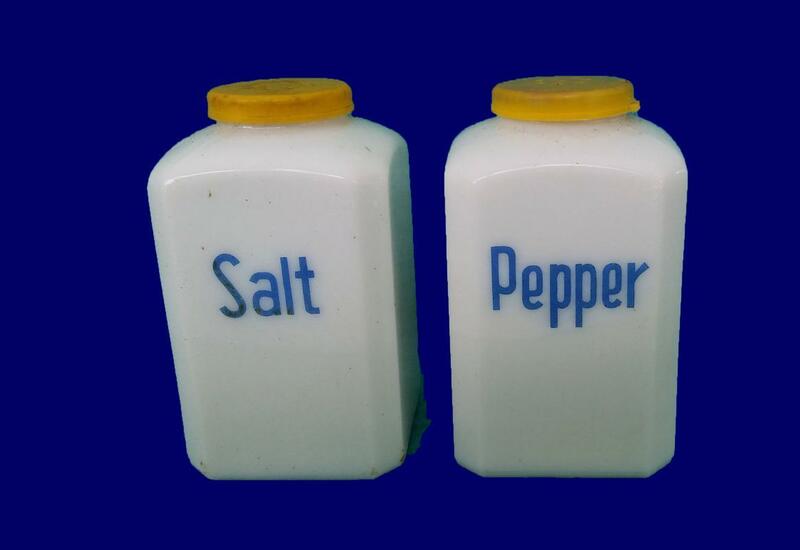 THey are white glass with blue block print and yellow plastic lids. They measure 4" tall and are 2 1/4" square. 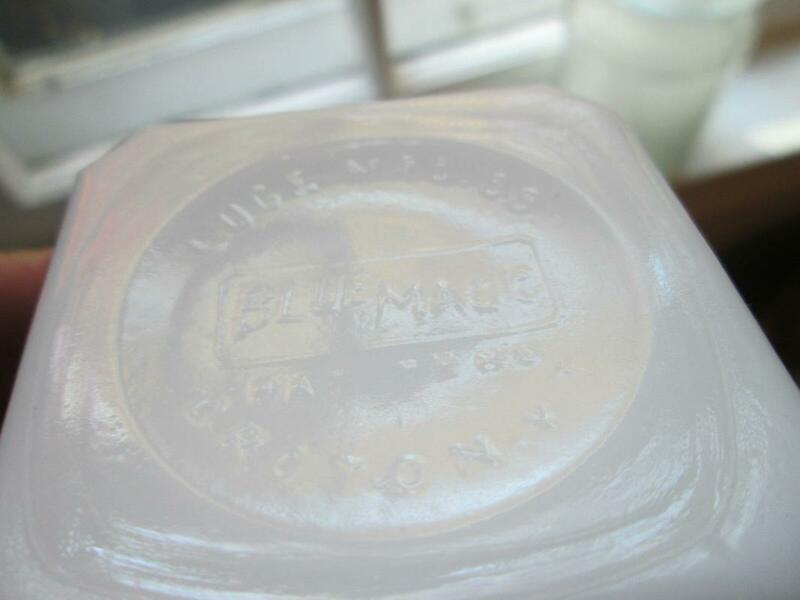 Both are marked on the bases, "Luce MFG Co Blue Magic Pat Pend Groton, VT". The glass on both in excellent condition with no chips, cracks, hairlines or wear. The orignial yellow plastic lid are worn and has some hairline cracks.